SPC Performance has the parts and tools that tuners need to correct alignment problems on vehicles that have been lowered for appearance or performance. Many of the parts have extended camber ranges, up to 5 degrees. These extended ranges will adjust for the severe geometry changes that occur on lowered vehicles. 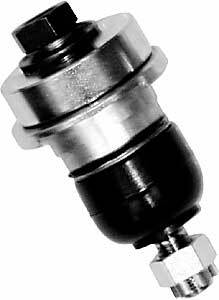 Select parts feature OEM style bushings and ball joints to retain factory ride. Others add style and function with forged designs and custom colors. Does SPC 67125 fit your vehicle?